Here are just a few examples of the vast array of inspection, guidance and measurement applications that SmartRay 3D Sensors can solve. 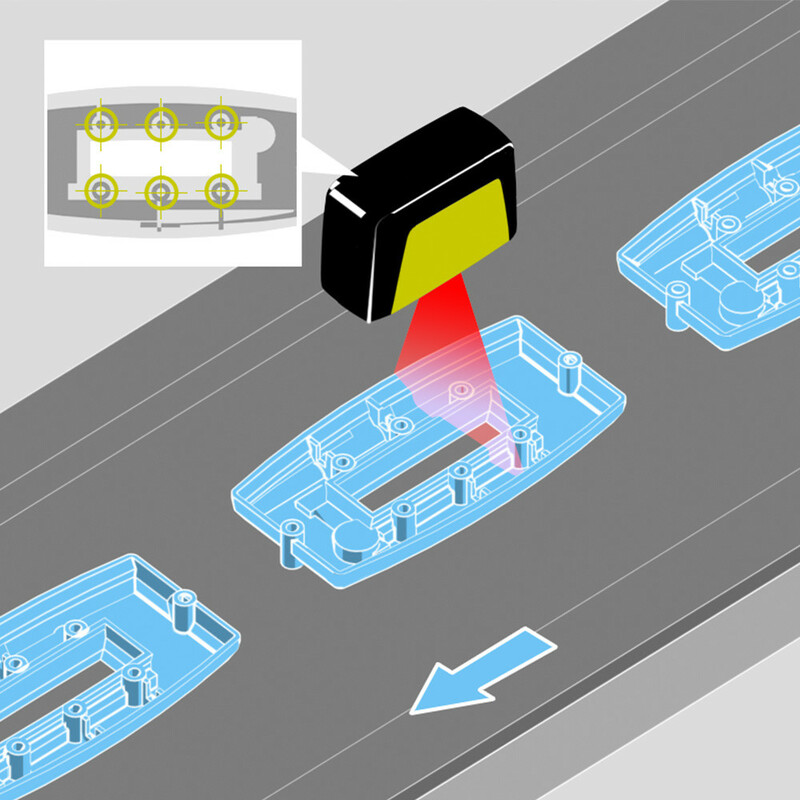 In virtually every industry, 3D Sensors are being used to optimise production processes, improve quality control and reduce manufacturing costs. 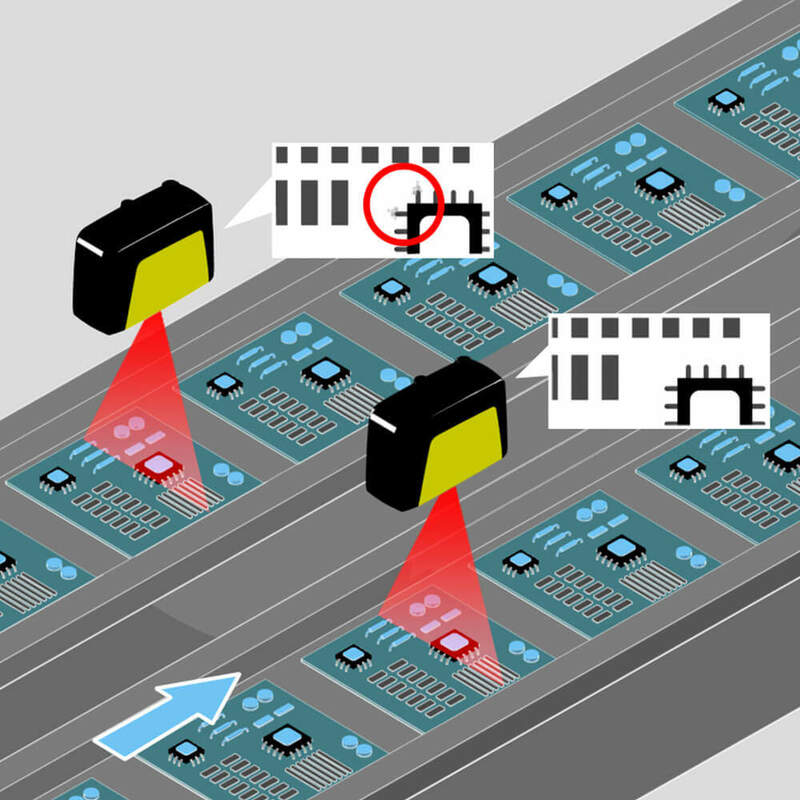 In many cases, 3D Sensors are now being used in place of traditional vision systems, which are limited to 2 dimensional measurement, require lighting and optics to be selected, purchased and tested for each application and often need time consuming calibration and commissioning to be carried out. To find out more about where you can use SmartRay 3D Sensors to enhance your product manufacturing, take a look at our comprehensive guide to over 20 applications. 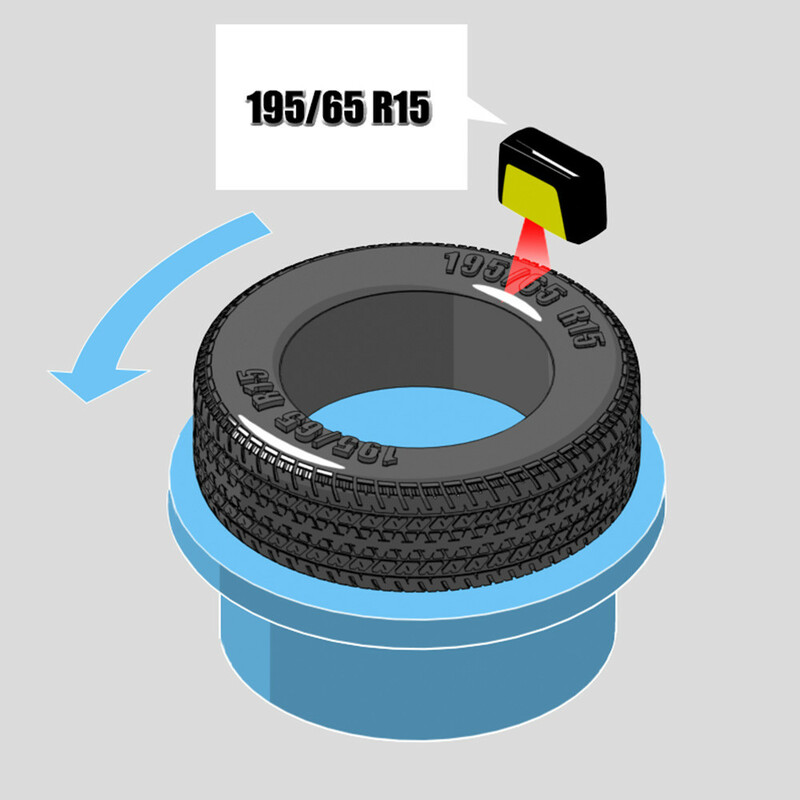 Reading raised black letters and numbers on a black rubber surface is highly challenging, but essential to manage the tyre manufacturing and distribution process. SmartRay 3D solves an application that is virtually impossible to solve with 2D vision systems. 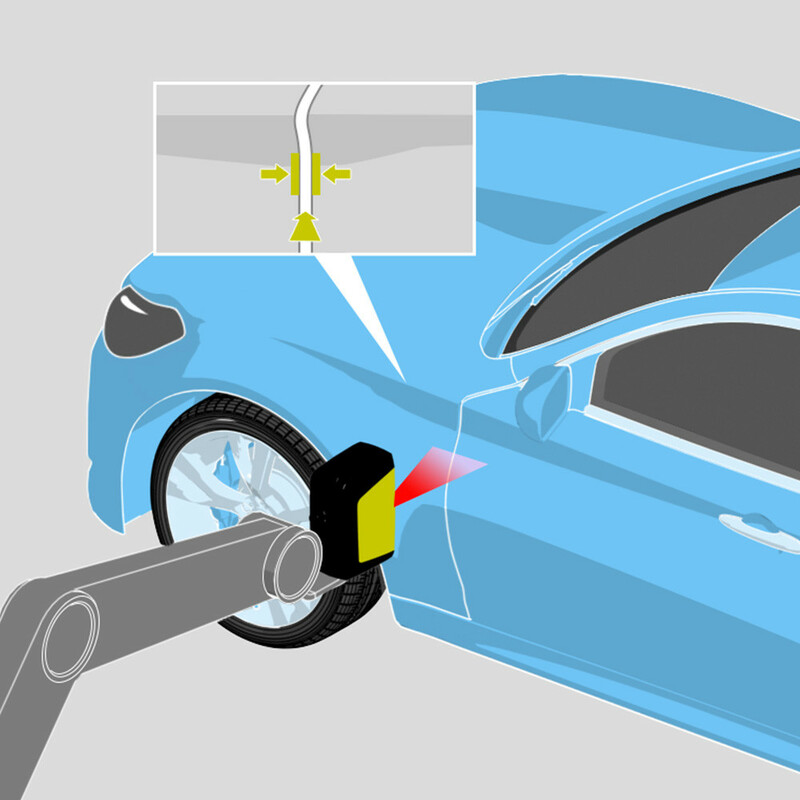 The crashworthiness of any vehicle is dependent on high quality, consistent welding. 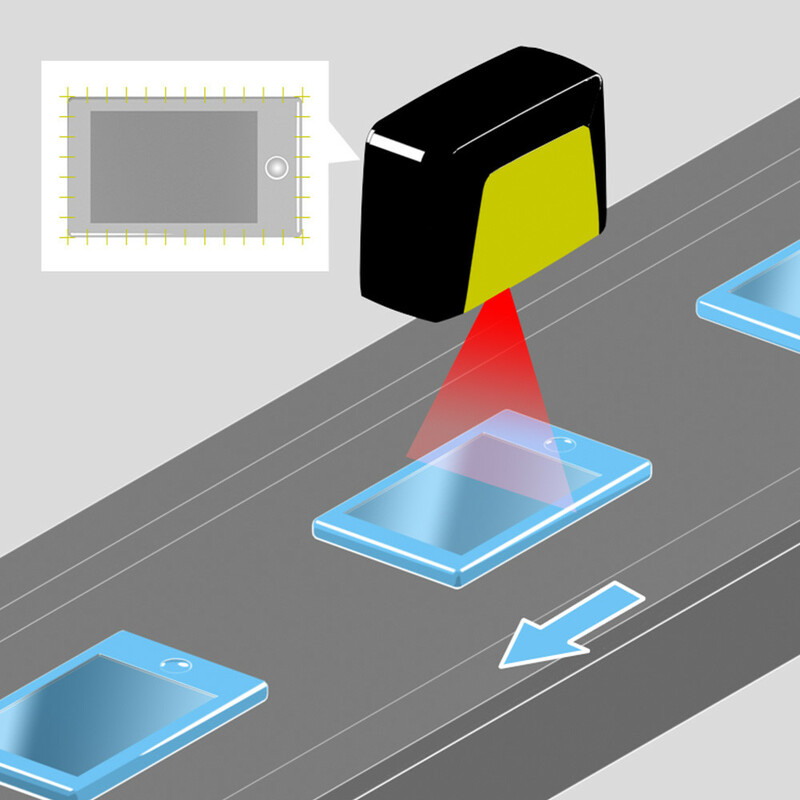 SmartRay “WeldVision” 3D solutions have been developed over many years to deliver high precision geometric inspection and defect detection of complex welded assemblies. The human eye is very good at detecting misalignment between automotive bodies and doors, and variations in the gaps between the panels. Fortunately for vehicle manufacturers, SmartRay 3D is even better at inspecting the flush and gap of complex body panels. 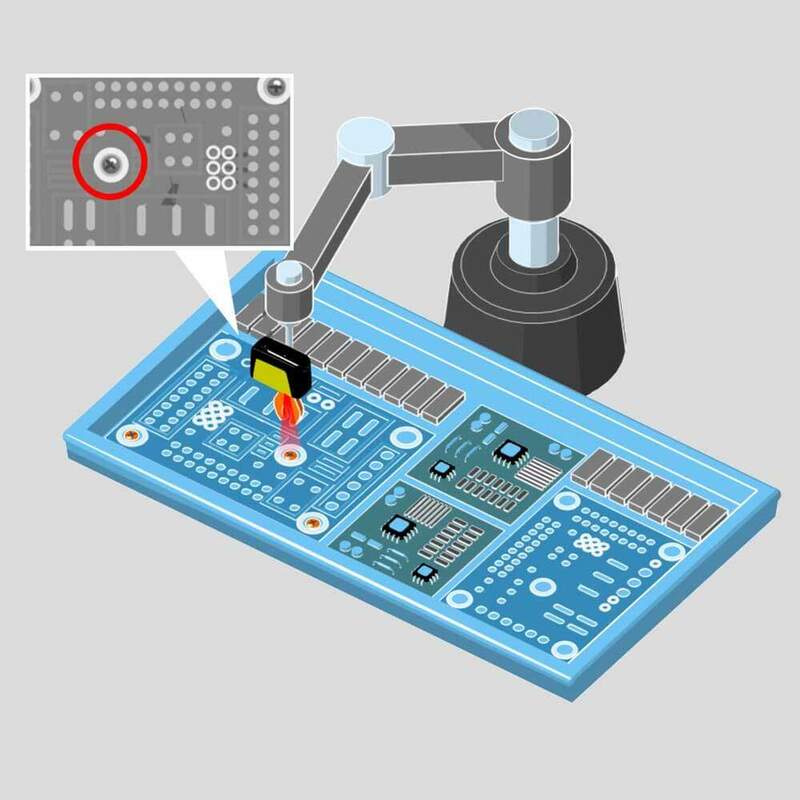 With any PCB, it is critical that every component is correctly oriented, is in the right position relative to the solder pads and is seated correctly on the board. SmartRay 3D carries out a complete check of the board and all components, both before and after soldering. 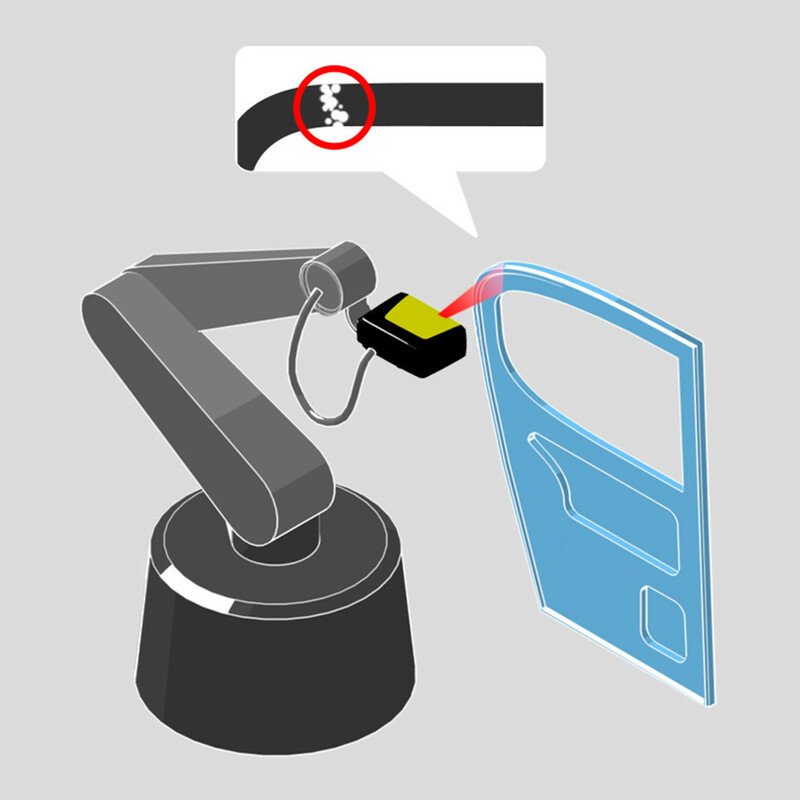 Using robots to assemble high volume products like TVs and Radios has helped drive manufacturing cost reductions. 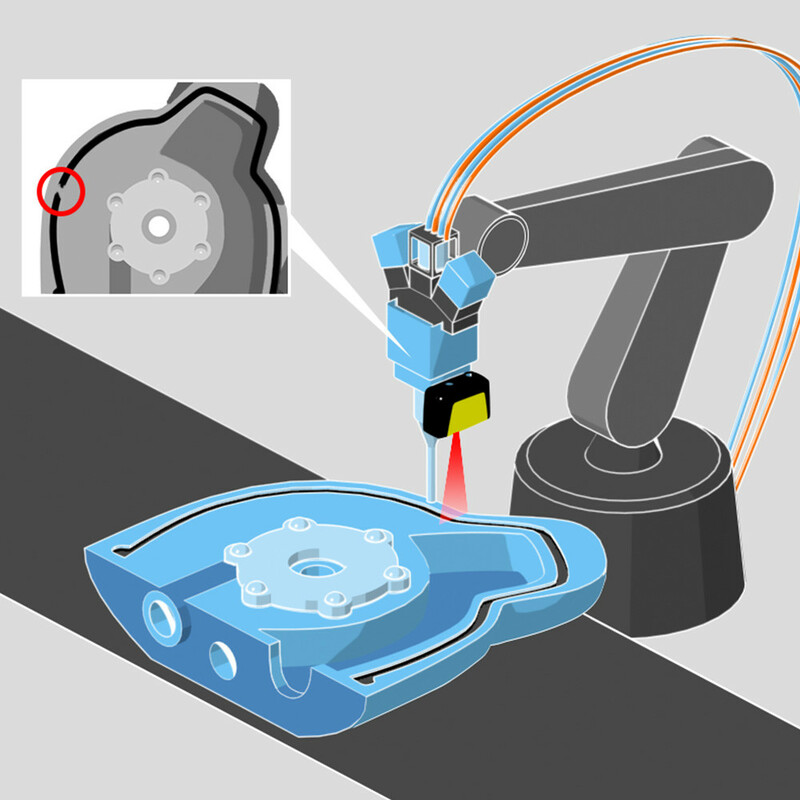 However, for some assembly operations, robots need to be guided by SmartRay 3D sensors to ensure all parts are correctly inserted and positioned. Smart phones are made to such exacting standards that automatic inspection of every stage of the manufacturing process is essential. 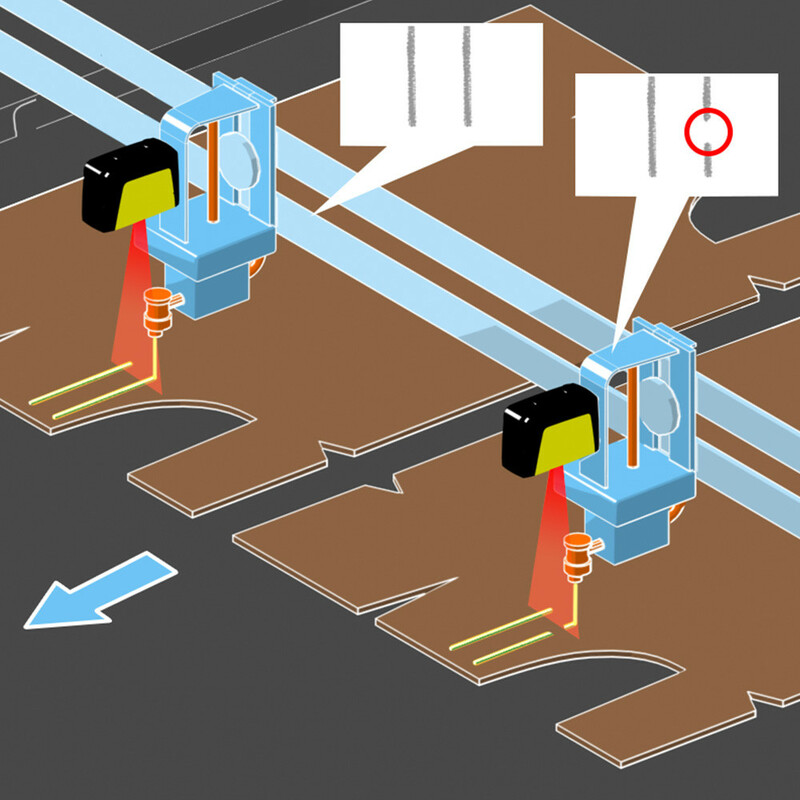 SmartRay sensors measure critical gaps and the 3D alignment of key components at each step of the phone assembly process. For products to be shipped securely, it is vital that they are packaged correctly. Inspecting the coverage and volume of transparent glue on a cardboard surface is hard to monitor manually. But with SmartRay 3D, consitent packaging quality is much easier to achieve. Applying a bead of sealant to a complex pump housing, prior to the next assembly operation needs to be carefully controlled. SmartRay 3D accurately guides the robot dispenser around the housing to ensure the correct placement of the sealant around the entire path. Checking that a metal moulding conforms to the original CAD data for the part, can be a challenging process to carry out during manufacturing. SmartRay 3D carries out a complete form and dimensional analysis of each part during the manufacturing process. Supermarkets like to present fruit to their customers in consistent sizes and regular shapes. SmartRay sensors can build a 3 dimensional model of any object, so that it’s size, shape and volume can be calculated. 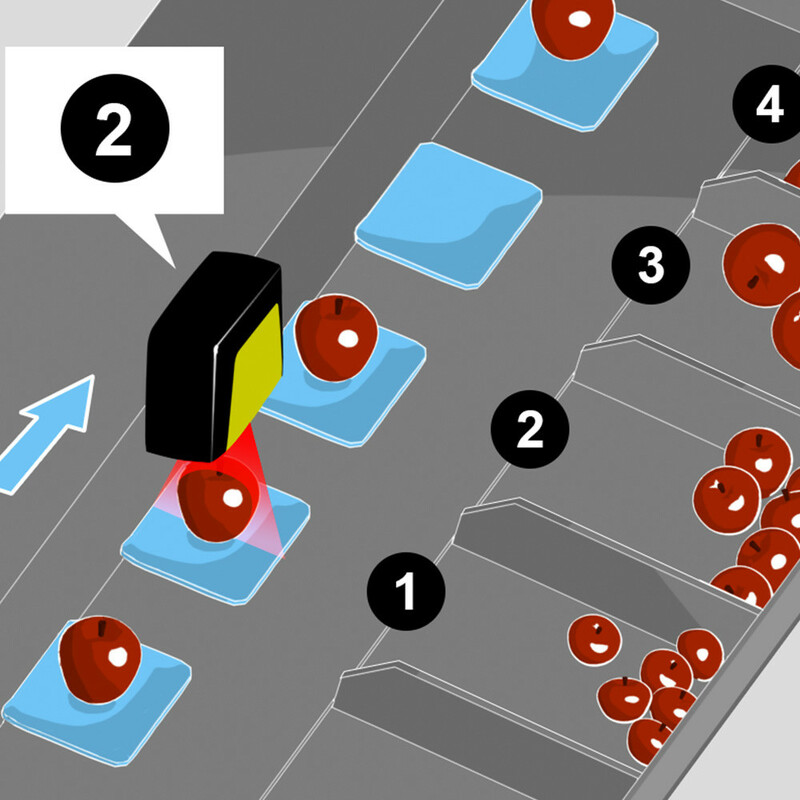 This data is used to control automatic fruit sorting systems. Mechanical watches require careful assembly of delicate components and precise calibration of the final product to ensure accurate time keeping. 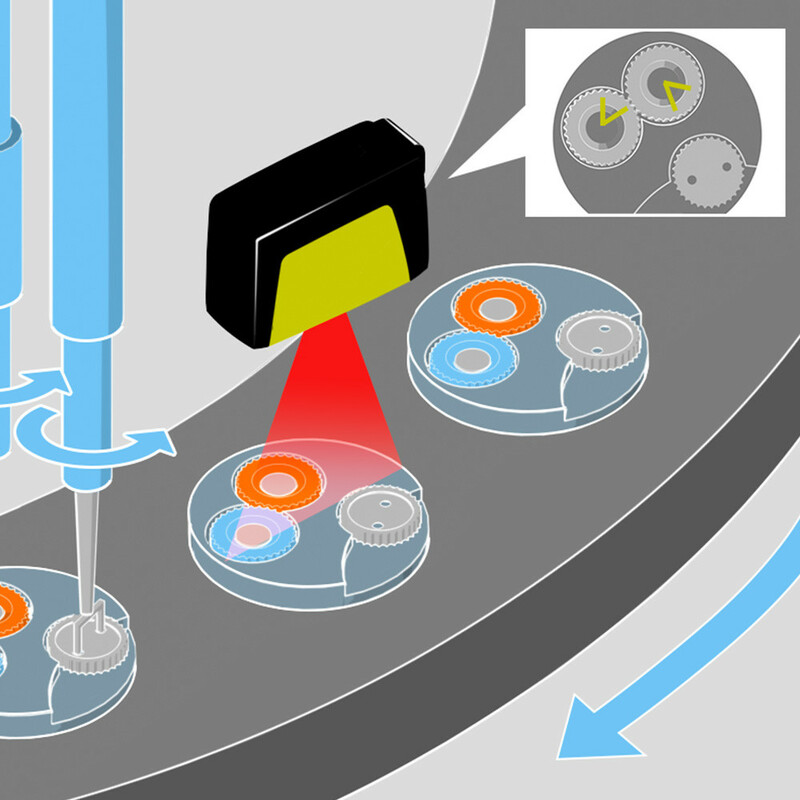 SmartRay 3D inspects the position of key components in all dimensions and guides the mechanisms that control the calibration. Multi-blade razor cartidges have become complex assemblies that have to be very accurately assembled to ensure the best possible shaving experience. 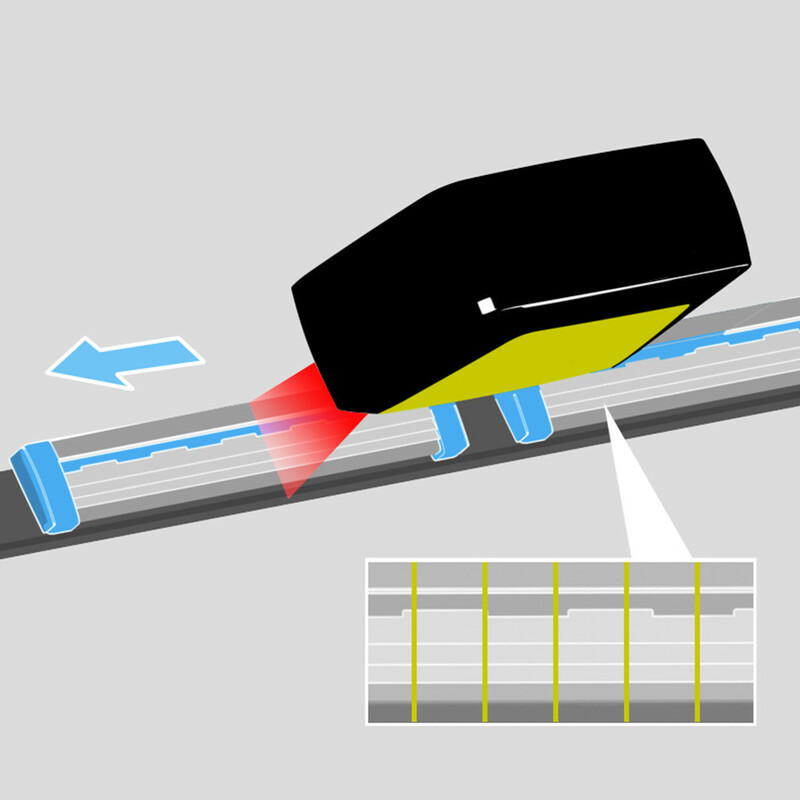 SmartRay 3D checks the height, spacing and angle of all the blades in each cartridge to ensure total product consistency.